Edward E. “Mr. 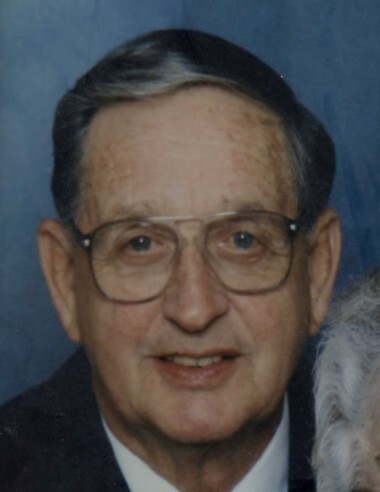 Ed” Chitty, Sr., 89, of Denmark died peacefully surrounded by family on Tuesday, March 19, 2019 at home. Funeral Services for Mr. Ed will be Saturday March 23, 2019 at The First Baptist Church of Denmark, SC. The family will receive friends from 1:30-2:45 with a service of remembrance and celebration at 3:00. Officiating the service will be Dr. Gordon Robinson, Rev. Andy Hunter, and Rev. Matt Thomas. Burial will be in the Bamberg County Memory Gardens will full military honors accorded. Ed Chitty was born in Denmark, SC on September 28, 1929 to the late Fred Eugene Chitty and Myrtis Atteberry Chitty. Ed was devotedly married for over 60 years to the late Patricia “Pat/Patsy” Wright Chitty. Ed is preceded in death by his brother Ronald E. Chitty and sister, Myrtle Chitty Gray. Ed is survived by his sons Edward E. “Eddie” Chitty, Jr of San Francisco, CA (Michael “Jeremy” McClain), and Kenneth W. “Kenny” Chitty of Evans, GA (Kim Costine). Msgt Chitty served his country in the USAF for 23 years, Air Force Reserve for 7 years and the South Carolina Guard for 3 years. Msgt Chitty served tours of duty in Vietnam as well as being stationed in multiple bases across the country before his retirement in 1971. Following his career in the Air Force, Mr. Ed worked for Sanders Supply in Bamberg for 20 years. Ed was an active member of the First Baptist Church of Denmark, SC where he served as a Deacon and a Sunday School Teacher and he was affectionately known by children at church as “the Chewing Gum Man.” Ed loved his church and community and could be seen daily in his lunch group at Rusty and Paula’s in Bamberg. Ed was an avid fisherman, shrimper, and hunter. In lieu of flowers, memorials can be made to the following: Meals on Wheels c/o of The First Baptist Church of Denmark, P.O. Box 325, Denmark, SC 29042 or The American Cancer Society (Prostate), P.O. Box 22718, Oklahoma City, OK 73123.